PACK YOUR BAGS! 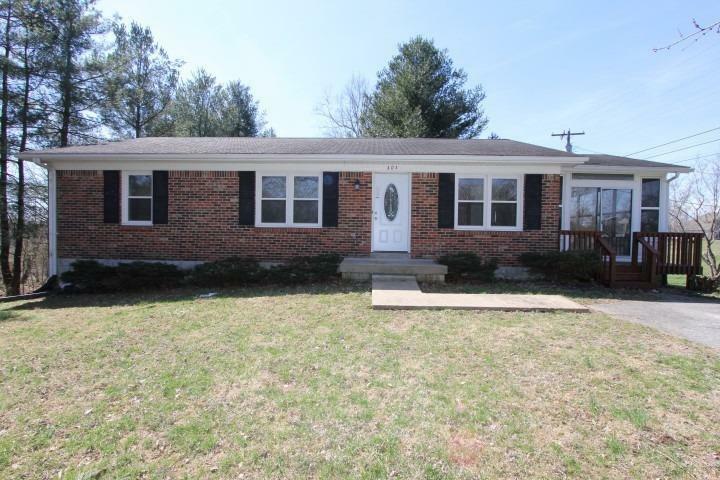 This newly remodeled home offers 3 Bedrooms, 1.5 Bathrooms, a sun-room, AND a full unfinished Basement! Location is going to be a BIG selling feature for this home, located right off of Carlton Drive, you are only minutes from downtown Lawrenceburg, The Bluegrass Parkway, I-64, and Frankfort! Imagine sipping your morning coffee while sitting in your sun-room on a warm summer morning, or relaxing in the afternoon with a good book! The deck is perfect for summer cookouts and the backyard is spacious!This home won't last long, so call today and schedule your showing!